The Wisconsin Board for People with Developmental Disabilities is proud to support National Disability Employment Awareness Month (NDEAM). 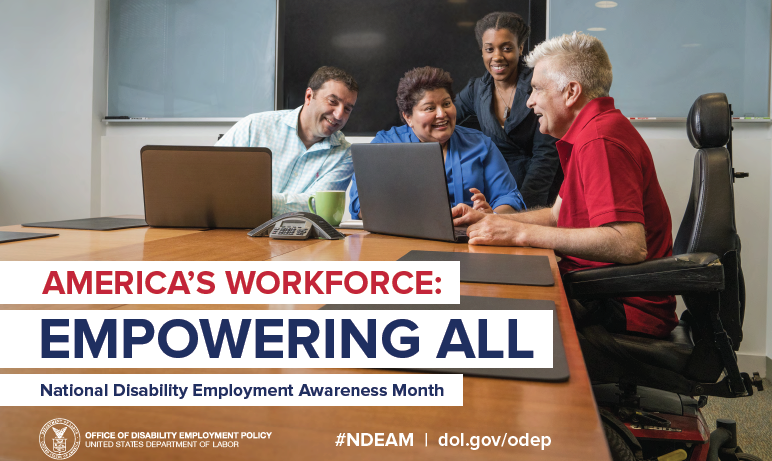 Held each October, NDEAM aims to educate about disability employment issues and celebrate the many and varied contributions of America’s workers with disabilities. To learn more about the history of the ADA and disability employment follow the link below for a great timeline put together by the United States Department of Labor. We will also be posting stories about employment on our Facebook account throughout the month of October so like/follow our page to get updates.